During the early to mid eighties, hair metal, new wave, and synth pop took root. The Smiths appeared as a simple guitar band with shimmering guitars in the jangle-pop vein, but they turned out to be more. Johnny Marr's constructed songs that did not follow conventional pop structure but yet had alternately had hooks and layers of guitars. Morrissey wrote intelligent and often sardonic lyrics delivered in through an iconic crooning voice. The music endures. The Smiths' 'How Soon is Now?' opens the WB's television syndicated show Charmed. Formed in 1982, guitarist Johnny (Maher) Marr worked as a record reviewer for the UK's Record Mirror, when he invited (Steven Patrick) Morrissey to form a band. 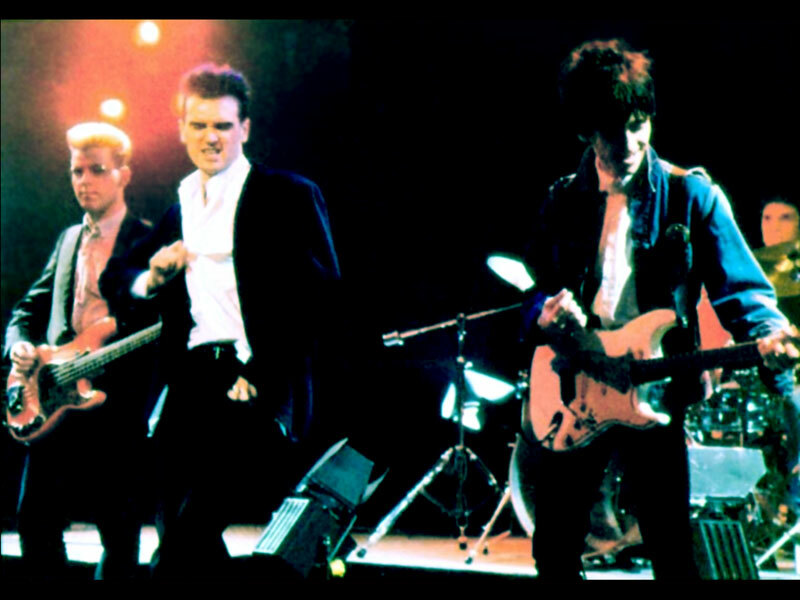 Marr recruited schoolmate Andy Rourke as bassist, and Rourke brought on Mike Joyce as drummer. By the end of the year, they recorded the single 'Hand in Glove' for Rough Trade Records. The song was a hit on the UK independent charts. 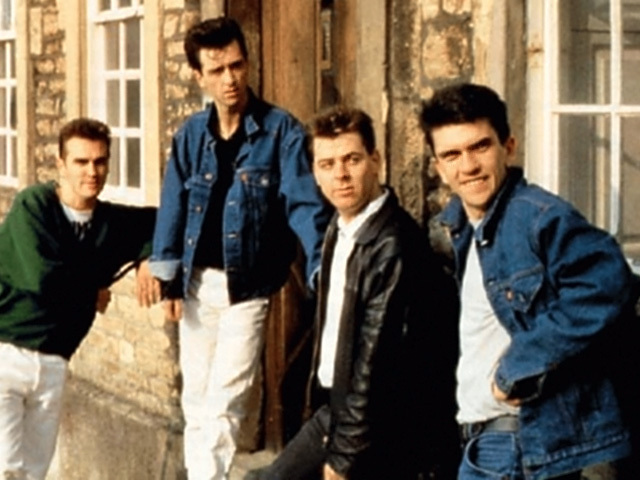 1983 saw a host of singles: 'This Charming Man', 'Reel around the Fountain', and 'What Difference Does It Make,' the latter of which peaked on the UK charts at #12. 1984 saw The Smith's eponymous full-length debut record and at the end of the year Hatful of Hollow, a compilation disc of non-lp tracks. Hatful of Hollow would establish The Smith's routine of releasing non-lp singles and repackaging material as quickly possible. However, this record included BBC sessions from the John Peel show and the originals 'Heaven Knows I'm Miserable Now', 'Please Plase Let Me Get What I Want' and the classic 'How Soon Is Now?'. 1985 saw The Smiths in a holding pattern with Meat is Murder. 1986 The Queen is Dead featured 'The Boy with the Thorn in His Side.' Non-LP single's 'Panic' and 'Shakespeare's Sister' reached #11 and #12 on the UK charts. The album itself reached #2 on the UK album charts. On the personal side, the band begins to disintegrate that year, with Marr becoming injured in an automobile accident, Rourke booted for heroin addiction, he later returned. 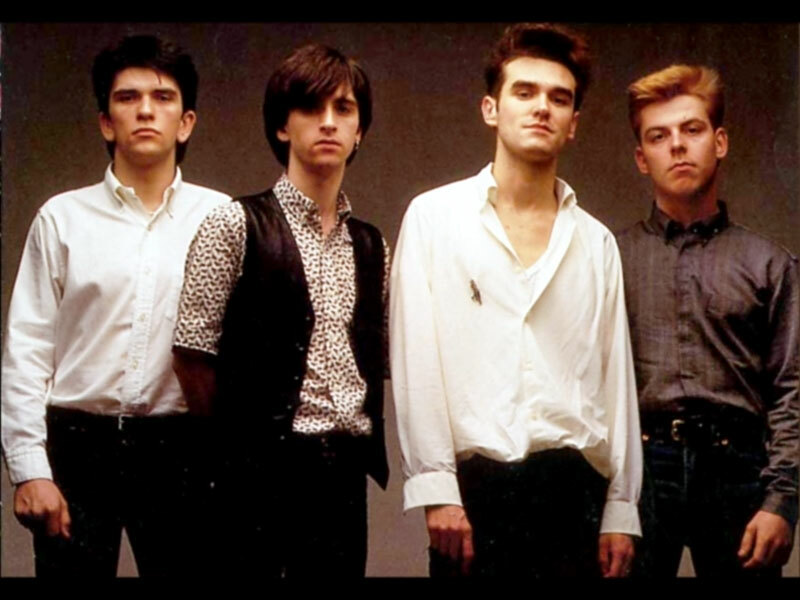 By 1987, the personal difference between Marr and Morrissey led to their breakup. Marr announces that he is leaving in August and Morrissey breaks up the remainder of the band in September. 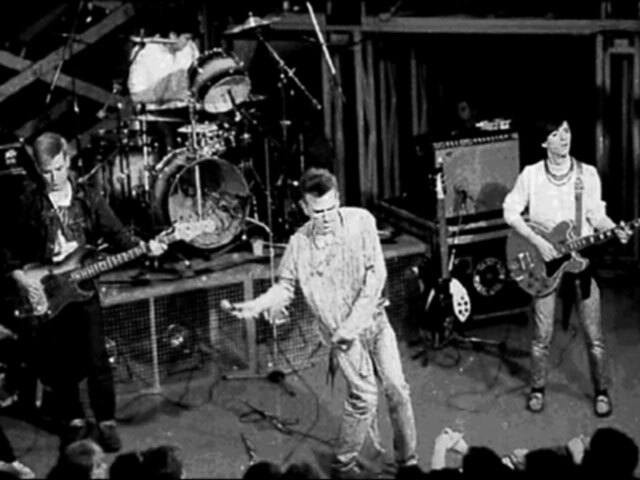 Their post-breakup record Strangeways Here We Come was released in 1988 and the live recording Rank in 1989. In a 1993 interview, Marr states that he and Morrissey thought Strangeways was their best record. The Smiths were controversial. Their first single 'Hand in Glove' is about homosexual love, although Morrissey claims self-imposed celibacy. 'Suffer Little Children' touched on the real-life Moors Murder. Meat is Murder and Morrissey's assertion that the every member of the band was a vegetarian. In real life, he was highly critical of the UK rock star led Band-Aid project. 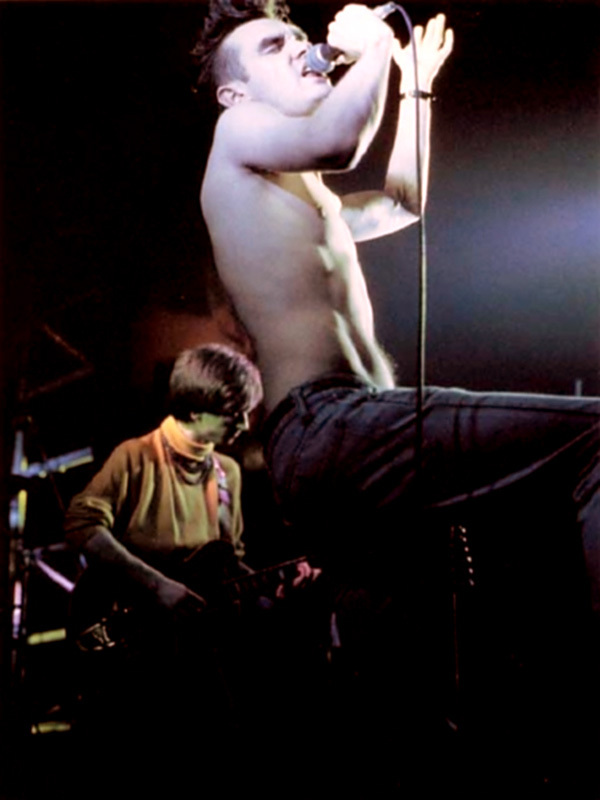 Even the band name, The Smiths, was a play on other bands trying to distinguish themselves from the crowd. 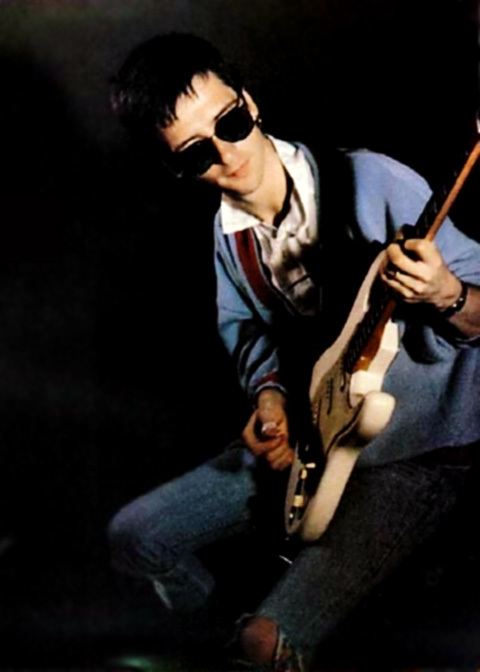 After the breakup, Marr went onto work with New Order's Bernard Summer in Electronic and also The The, Rourke and Joyce as Sinead o'Conner's rhythm section, and later just Juyce with the reformed Buzzcocks. Morrissey signed to Rought Trade in the US and Parlophone in the UK, and has released a number of solo records. 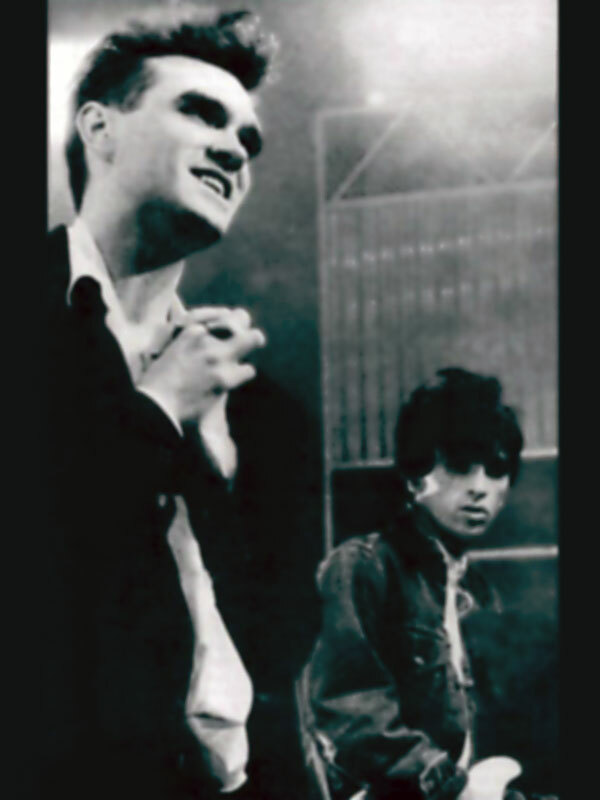 Rourke and Joyce later sued Marr and Morrissey for a higher percentage of songwriting royalties.